Concern about chemicals rather than calories could explain the drop in sales. So many people watching their weight turn to diet soda. But a surprising development. 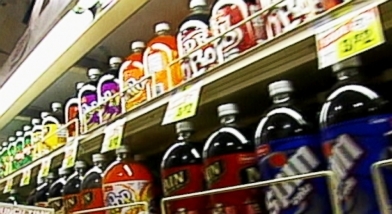 Diana perez has the latest on why diet soda sales are losing their pop. Reporter: It seems the diet soda craze may be going flat. New sales figure show the $75 billion industry is losing some of its fizz. For the past three years, the decline in diet soda has been greater than regular soft drinks. "The wall street journal" reports, zero and low-calorie soda is down 7%. While regular soda is 2%. I love drinking diet soda for nearly 30 years because it was cold, convenient, carbonated. Reporter: But in august, she quit, after her physical trainer talked to her. The artificial sweetener causes your insulin to spike. When I realized how the stuff i was putting in my body, i decided to stop. Reporter: According to the american beverage association, the sweeteners aren't stageous. Low and no-calorie sweeteners have been proven to be safe and effective tool for weight management. For "good morning america," diana pressure, abc news, new york. We want to add that the american beverage association says, quote, our member companies offer a wide variety of beverage options, portion sizes and calorie counts and continue to innovate with more choices to meet evolving consumer needs. End of quote. We asked you to weigh in, why you have or have not switched to beverages other than diet sodas. And kathleen, she sent in this one. I gave up diet coke completely two years ago. I switched to water mostly. But I have to say, every once in a while, I do miss my d.C. Another viewer told us they started juicing a few years ago. And kicked that soda habit to the curb. Joining us now, abc news nutrition and wellness editor and author of "eat it to beat it," dave zinczenko. What does that say to you? I'm happy that the pop/soda bubble is popping. What it says to me is the diet sodas are losing their health halo. We make decisions partly based on science. Partly on how they make us feel. What we really need to do here is considering that, you know, we go out and we are looking at diet soda as something that used to symbolize being health-conscious and fit. We would be getting ready for jazzercise, we would turn away. And it's the chemicals they're worrying about. They're starting to count ingredients, not calories. They're realizing that's really important. You have to look for the alternatives. There's diet sodas have that bromated vegetable oil. We have green tea that's unsweetened. Natural ginger ale. That's a grapefruit drink. Those are great. It is terrific. It's preservative-free. It's owned by pepsi. A lot of people are turning to natural energy shots, like something like this. Like e-boost, a great alternative. But it's coming down to natural ingredients. They're looking to stay away from high sugar, artificial flavors. All of the things that -- flame-retardant. Appreciate that. 'Tis the season to rock the holidays at parties. America's love for diet soda may be fading as sales decline. 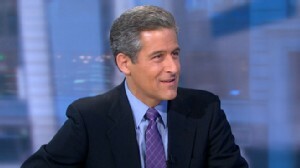 Dr. Richard Besser disputes study linking diet-soda intake to heart attacks. 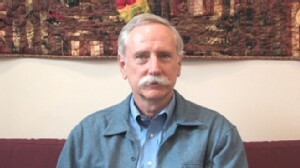 Harvard School of Public Health?s Dr. Walter Willett explains his skepticism. Now Playing: Death by Diet Soda?